When Albert Einstein was on the faculty at Princeton University, it’s said that his teaching assistant came to him one day, panic-stricken. 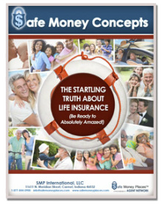 Over thirty years ago, the answer to that question was “life insurance,” because we didn’t usually survive those illnesses. But today, with advances in medicine and medical technology, the chances of surviving a catastrophic illness are greater than ever. However, our survival comes with emotional and financial consequences. When a person suffers a serious health crisis, his world is turned upside down — and so is his family’s. a devastating impact on household finances. The question of protecting our finances in the event of cancer, heart attack, and stroke is the same as a generation ago, but now the answer is different. Today, the answer is both life insurance and critical illness protection. With the advent of critical illness insurance, there is now financial relief to aid patients and their families who are coping with recovery. Yet many people today aren’t even aware that critical illness protection exists. Furthermore, most consumers aren’t aware that critical illness insurance was NOT created by some insurance company but rather by the world-famous cardiac surgeon, Dr. Marius Barnard, in South Africa. In 1983, Dr. Barnard observed that, with advances in medicine, his patients were surviving cancer, heart attacks, and strokes that only a generation ago were likely to be fatal. He also saw that financial stress caused by the illness was having a serious impact on his patients’ ability to recover. Barnard started talking with insurance agents, advisors, and insurance companies about creating a way to help relieve that stress — an insurance policy that would pay a lump-sum benefit upon diagnosis of a critical illness. The benefit could be used in any way the client wished. The origin of this kind of coverage, therefore, is important for every consumer to understand. Now, here’s a simple way to think about critical illness insurance; ask yourself this question: Do you know there are two types of break-ins — insured and uninsured? Imagine if someone breaks into your home, stealing your valuable possessions and causing tremendous damage to your property. Whether you have homeowners’ insurance or not, the event is exactly the same — but the impact on your family’s finances and general well-being is dramatically different. Everyone knows an insured break-in is better than an uninsured break-in. But most people don’t know there are also two types of cancers — insured and uninsured; two types of heart attack — insured and uninsured, and so on. Now consider this: If you had to deal with a heart attack, cancer or stroke in your family, how would you have used the money? Answering these simple questions will help you understand if you and your family need critical illness protection. Kenneth J. Smith, CLU, is director, health product sales, for Assurity Life Insurance Company. With three decades of experience in the insurance industry, both in the field and home office, he has developed a wide breadth of knowledge in the critical illness and disability income insurance markets. Prior to joining Assurity in 2004, he was with Mutual of Omaha for more than 10 years as first vice president of critical illness and disability income.